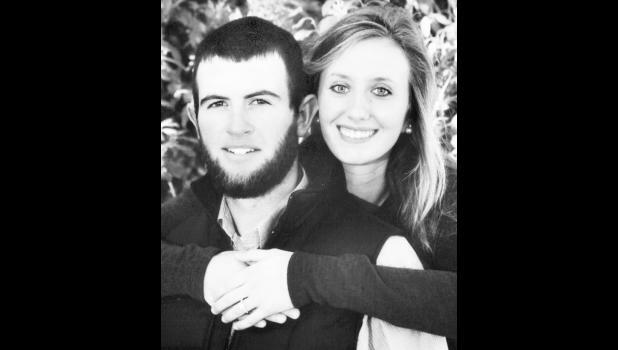 Darien Klahr of Holton and Cody Brock of Olsburg are happy to announce their engagement and upcoming marriage. The bride-to-be is the daughter of Dale and Bobbi Klahr of Holton. The future groom is the son of Stan and Charlotte Brock of Olsburg. Darien is a 2014 graduate of Holton High School. Cody is a 2011 graduate of Holton High School. Both work on a ranch. Grandparents of the bride are Delwin and Norma Klahr of Holton and Leonard and Rose Myers of Holton. Grandparents of the groom are Edna Brock of Holton, Clara Pendleton of Denison and the late Robert Brock. The couple will wed on March 12 at Trinity Lutheran Church in Holton and will reside in Onaga.